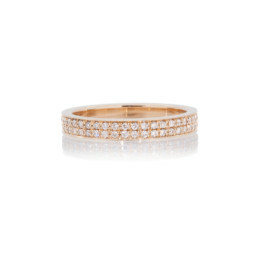 Bespoke two-row eternity band with micropave set diamonds in hand-alloyed 18k rose Fairtrade gold. Diamonds responsibly sourced from Origin Australia®. Gold certified and stamped to Fairtrade Standards.